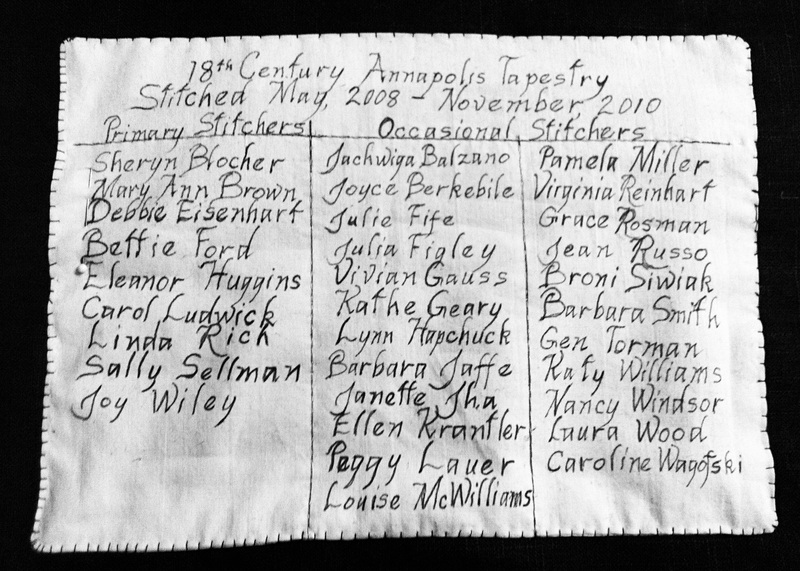 Thank you to Mary Ann Brown for creating the acknowledgement panel of the numerous people who helped stitch the large 18th Century tapestry. This handcrafted calligraphy piece (pictured here) was hand sewn to the back of the large tapestry prior to its display at the Historic Annapolis Museum in February 2012. This panel will remain a permanent part of the large tapestry.